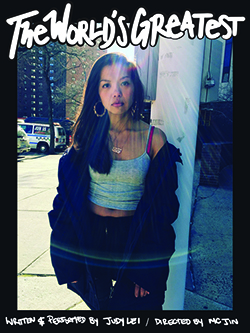 Join us for “The World’s Greatest,” a solo show written, performed, and produced by Judy Lei, and directed by JC Jin. It’s a coming of age story about a Chinese American girl’s journey with her friends and family, and her life in a failing NYC public high school. For more information about the show and to get tickets, go here. Performances on Friday, August 19 to Monday, August 22, 8 pm at TBG Studio Theatre, Studio 3A, 312 West 36 Street, New York City. Doors open at 7:30 pm. Total running time: 75 minutes without intermission. Tickets: $30. AALDEF friends can get $10 off their order by using the code “AALDEF74” at checkout until Aug. 18 at 11:59 pm. No tickets will be sold at the door.